Ever wonder what it is like to be a Hamster running around in a ball? Get in our Zorb Ball to find out! Order early to get these for your next party or event! The Zorb balls come as a pair (2 BALLS FOR ONE PRICE). Experience the thrill while running against an opponent in these Human Hamster Balls! You have probably seen these on tv, and found them to look to be a really fun time! They are extreme fun! The Human Hamster Balls, also known as Zorb Balls, are new to the 3 Monkeys Inflatables inventory. We can only race on specific surfaces such as grass, indoor locations, and flat locations. 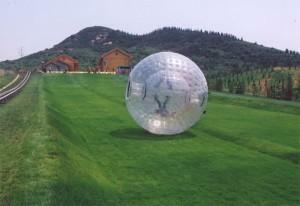 We are sorry, but our zorb balls cannot be raced on asphalt, water, or down hills. These are great for competitive fun, corporate events or just about any type of event where you want to have a ton of fun! Zorb rentals are for 4 hours. Each additonal hour is $100. Dimensions: Customizable to your needs, however we suggest at least a 20' area. Attendants/Monitors: An attendant will be on site to monitor the use of the zorb balls & this is included in the rental price. 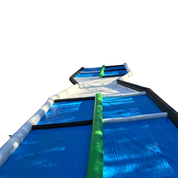 Setup: Please specify when you book this item if you will be setting up Indoors or Outdoors. 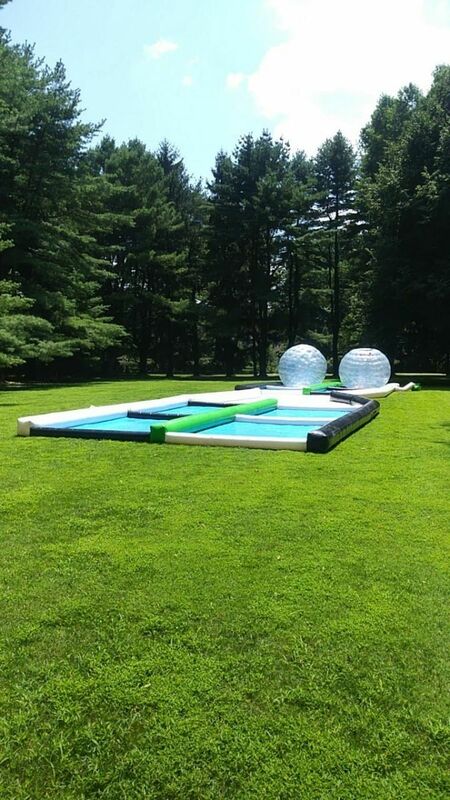 We do require setup for the zorb balls to be either on grass, indoor locations, and a flat surface. 2 zorb balls and 1 backup ball for virutally no down time in case something would happen to 1 of the balls and would require repair.